Today I'm delighted to host Carol Antoinette Peacock, author of a new middle grade novel, Red Thread Sisters (Viking / Penguin). A well-paced, satisfying hero's journey, this moving book tells the story of Wen, an eleven-year-old girl who leaves an orphanage in China for a new home in Boston. Tween readers will root for the protagonist in her quest to find a home in America for Shu Ling, her best friend in China. Red Thread Sisters doesn't gloss over the grief of adoption. Even as Wen fiercely advocates for Shu Ling, she battles for herself as well, grieving for what she left behind in China and taking stock of what she might gain—and lose—as she accepts her new family and home. A new friend Hannah, proficient with American culture and popular at school, is also processing a familial loss, evening out the power between the two girls and making their friendship credible. The author skillfully switches from the narrator's fluent and honest internal voice, which we assume is in Chinese, to displaying Wen's emerging proficiency in English through dialog. This simile worked perfectly, for example, using a memory from the orphanage to describe the irritating struggle of language acquisition: "Wen strained hard to pick up any English she knew. The words seemed to buzz, like flies swarming over the babies' heads on the hottest days." By the end of the story, this novel accomplishes the purposes of good "between cultures" stories: it widens hearts and builds bridges. I read it in one sitting and got choked up at two scenes (read the book to guess which ones). I hope you enjoy this chat with Carol as much as I did. Could you sum up for us the dream response of a reader who knows little or nothing about international adoption? For a reader unfamiliar with international adoption, I hope Red Thread Sisters will enlighten that reader about the challenges, but most important, the happiness of building a family through international adoption. Although international adoption is far more common than years ago, some people still sense that these families are beset by racial prejudice and cultural differences. And of course, families created through international adoption do encounter these issues. But what I wanted to convey to all readers was the joy of international adoption. Unexpectedly adopted, Wen must leave her best friend, Shu Ling, as close as sisters, behind. Wen promises she’ll find Shu Ling a family of her own, once she’s in America. But can Wen keep her promise? As the reader follows Wen’s valiant efforts to find Shu Ling a family, the power of Wen joining her own adoptive family emerges, too. I should add that I’m an adoptive mother of two Chinese daughters, so I have lived the joys and challenges of international adoption. 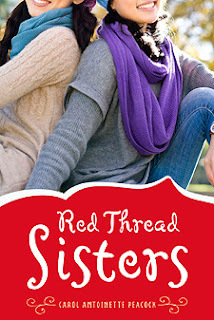 As I wrote Red Thread Sisters, I realized I was actually writing about the power of connection, through families and through friendship. Oh, what a good question! The high point of getting published was the day Leila Sales at Viking/Penguin, my editor, got the go-ahead to buy my novel. I’d done seven years of research and revising Red Thread Sisters. And now my book was going to be published! When I got that email from my agent, I screamed, I was so happy. A low point? I wrote Red Thread Sisters, based on my own experience working with older children at my own daughters’ orphanage. I got input from so many helpful adoptive parents. And when the book kept getting rejected, I felt very discouraged. I wrote Red Thread Sisters from an inner passion. Each rejection felt like such a stab in the heart. I'm glad you survived them. What was the biggest change you made in response to an editorial suggestion? I gave the novel depth. My wonderful editor at Viking suggested I add more of Wen’s struggles to adjust to American culture. This was a very important change and improved my story enormously. Now I was writing not just a book about international adoption but a more nuanced novel, about cultural themes and a host of subplots. The scenes of American life broadened the book’s appeal and gave the book a much larger audience. Thank you, Leila! Nothing like a good editor. Could you describe a fear you have about this novel that can or did keep you up at night? I worried that no one will read my novel. I’m not kidding, even though Red Thread Sisters is getting good reviews, I still sometimes worry it won’t sell. I brood that I won’t be able to share my message and tell my story. Anytime readers tell me they loved my book, I feel so relieved and deeply gratified. Please add me to the growing list of people who loved the book. What's next for Carol Peacock in the realm of children's books? Another good question. I’m a practicing psychologist and have used my dog to help emotionally disturbed kids for years. I am thinking of writing about this experience, maybe including the perspective of the dog. I need to go walk the beach with my black Lab, Pepper, and immerse myself in my next book. We'll have to walk our dogs together! I have a black Lab named Zipper! Thanks for joining me on the Fire Escape, Carol. 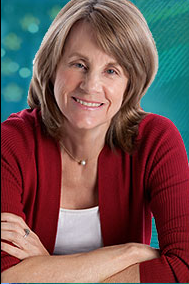 I'm looking forward to your next book and will become your Facebook fan HERE (hint to my Fire Escape visitors).